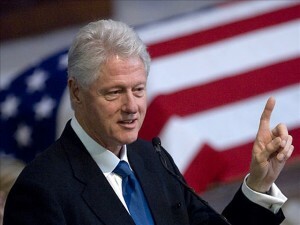 On Monday morning, Former U.S. President Bill Clinton is scheduled to be in Raleigh, North Carolina as part of an event to help campaign for wife Hillary. Both Hillary Clinton and GOP Donald Trump were hitting the campaign trail hard during the weekend and that will continue in North Carolina all week. Bill Clinton’s Monday visit to the capital city of North Carolina is the first event of two he will attend in central North Carolina. The former President is expected to discuss reasons why his wife is the best overall candidate to fight for the American family, especially those in underserved communities, as she has a commitment to increase incomes and create prosperity for all. The Clinton campaign announced that as the President Hillary would break barriers that hold people in North Carolina back and create more ladders of opportunity. Hillary Clinton about how important it was for people to get out and vote as she said much work was needed to be done in the country particular for those left out or left behind. Hillary also spoke about why the presidency of her husband matters. She said she wanted to build on progress Obama has made and carry with her the lessons learned from her husband’s presidency when things were going very well following his eight years in office. After former President Clinton’s event Monday morning in Raleigh, he is scheduled to visit both Charlotte and Greensboro. The second even for Hillary’s campaign will be in Fayetteville Wednesday. Republican candidate Donald Trump is expected to be there after he opened a campaign office recently in Fayetteville. Trump spoke during the weekend about how important it is to vote. Seven months ago prior to deciding to run, Trump said he was part of the GOP establishment. However, now he is not a part of it. Once he announced he was running, the establishment asked what he was doing and why he was running.